Media Matters has uncovered even more internal Fox emails revealing a purported network-wide campaign to link Barack Obama to “Marxists” and “socialism” during his 2008 presidential race. 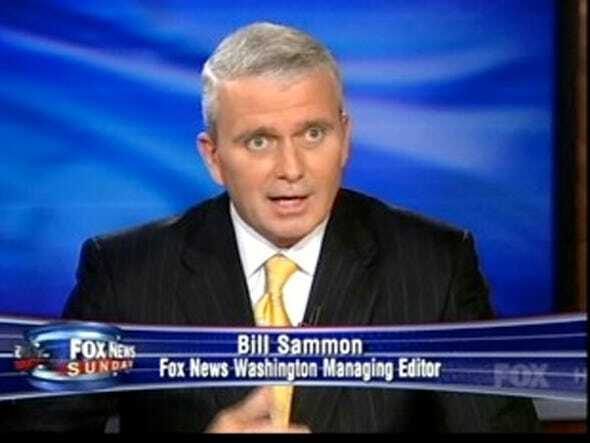 October of 2008 was a busy month for Fox News exec Bill Sammon, now the managing editor of Fox’s Washington, D.C., bureau. Media Matters has cataloged the multiple appearances he made on Fox News trying to tie Obama to socialism — but more troublesome perhaps are his Fox News internal emails that continue to be leaked (some former co-worker has it in for him!). But Sammon apparently wasn’t the only one at Fox attempting to ratchet up the socialist talk. Another leaked email from Fox producer Elizabeth Fanning shows that staffers were encouraged to ask questions linking Obama to communism. This question was regarding Obama’s reported cancellation with WFTV (ABC’s Orlando affiliate), following anchor Barbara West’s interview with Joe Biden, where she asked him how Obama “was not being a Marxist” after his “spread the wealth” exchange with Joe the Plumber. Let me be clear: The media is biased. I have spent a lifetime in the media. I spent 10 years as a White House correspondent surrounded by my friends from other major news organisations. They’re liberals. They just are.